Sodexo received the W.P.T. 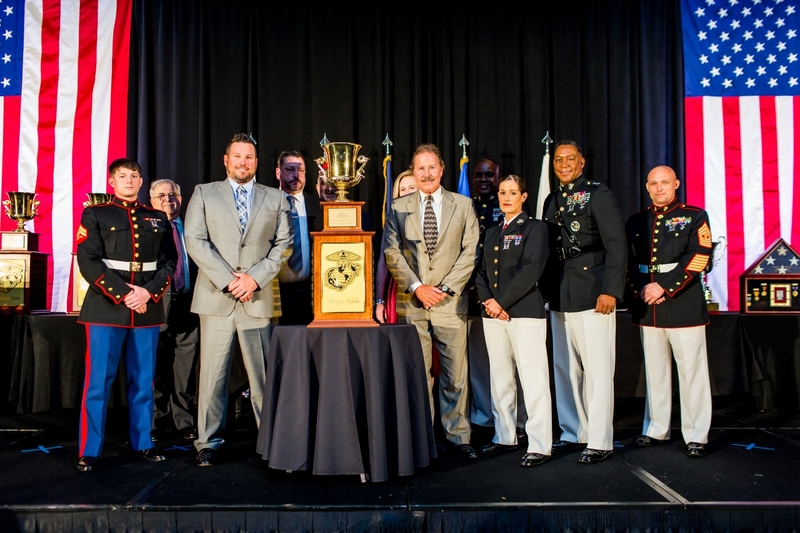 Hill Memorial Award at the Military Foodservice Awards Dinner on Friday, May 18, 2018 in Chicago, Ill., an event sponsored and organized by the National Restaurant Association Educational Foundation. With more than 40 years of experience working municipal, state, federal and military clients, Sodexo’s Government segment and its nearly 3,000 employees improve the Quality of Life for the people it serves at more than 150 military and U.S. Federal Government locations in 26 states. Headquartered in the Washington, D.C. metropolitan area, Sodexo provides a variety of integrated food and facilities management solutions and is the nation’s largest federal foodservice contractor – serving 45.6 million meals annually with a focus on wellness and nutrition.